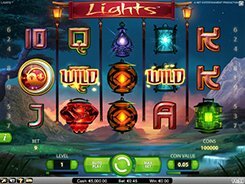 Lights is a 5-reel 9-payline slot themed around lanterns designed in an Asian style. 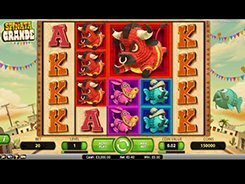 On the reels that are set against a night mountain backdrop you will see standard playing cards from 10 to Ace as well as a variety of lanterns crafted by Asian artisans. 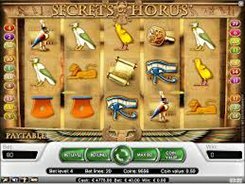 By adjusting a coin size from a penny to $1 and the number of coins per line (up to 10), you can place a bet anywhere from $0.09 to $90 per spin. The slot boasts a unique Floating Wild feature. 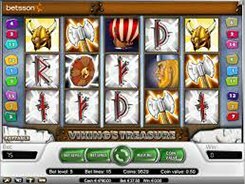 During every spin 2 to 4 random symbols are transformed into wilds that help you make more winning combinations. 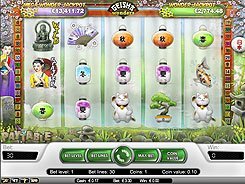 A scatter depicted by the Yin and Yang symbol unlocks 10, 20 or 30 free spins if three, four or five scatters land in any position on the reels. During the free spins, you get 3 to 6 floating wilds in every spin. The highest cash prizes you can win in Lights are $10,000 (five Red Lanterns), $7500 (five Orange lanterns) and $5000 (five Green lanterns). 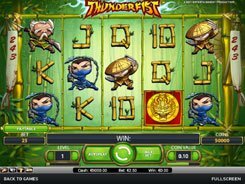 Overall, the slot offers a fairly simple gameplay and flexible bet sizes that would be appealing to all slot fans.